We Used To Suffer From Insanity, Now We ENJOY It! This episode we join Bruce and Shelly Tara as they broadcast from the world famous 'Tombstone' studio! We join them as they discuss their normal 20 minutes of crap mixed with 20 minutes of recovery! This episode we talk about lessons. What do YOU think? See what WE think! The Boozy Newz and all the other crap you've come to love or hate! ...And Of Course All The Other Insanity You've Come To Expect! Email us suggestions of topics, rants, raves, and whatever you want to recovery_101@hotmail.com, recovery101radio@gmail.com, or recovery101radio@hotmail.com. That's right folks another show brimming over with recovery! Remember we used to SUFFER from Insanity and Now We ENJOY It! 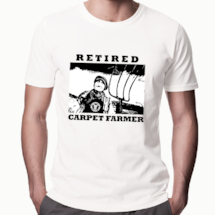 Get the "Retired Carpet Farmer" shirts! Click the pic to get them while they're HOT! 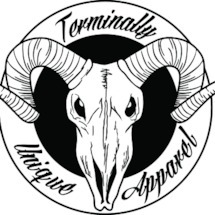 For other gear like the "Clean AF Sober AF Awesome AF" shirts visit Terminally Unique Apparel! Click the black sheep skull to go NOW! Check Out Dreamland Mattress In Covina California! This episode we present a FLASHBACH Show as we join Bruce, Shelly, and Mark as they broadcast from the world famous 'Laguna Beach Studio' studio! We join them as they discuss their normal 20 minutes of crap mixed with 20 minutes of recovery! This episode we talk about meds..the do's the don'ts and the justifications!. What do YOU think? See what WE think! The Boozy Newz and all the other crap you've come to love or hate! ...And Of Course All The Other Insanity You've Come To Expect! Email us suggestions of topics, rants, raves, and whatever you want to recovery_101@hotmail.com, recovery101radio@gmail.com, or recovery101radio@hotmail.com. This episode we join Bruce, Shelly, and Tara as they broadcast from the world famous 'Tombstone' studio! We join them as they discuss their normal 20 minutes of crap mixed with 20 minutes of recovery! This episode we talk about step 6. What do YOU think? See what WE think! The Boozy Newz and all the other crap you've come to love or hate! ...And Of Course All The Other Insanity You've Come To Expect! Email us suggestions of topics, rants, raves, and whatever you want to recovery_101@hotmail.com, recovery101radio@gmail.com, or recovery101radio@hotmail.com. This episode we talk about the difference between strutting your stuff and knowing your stuff. What do YOU think? See what WE think! The Boozy Newz and all the other crap you've come to love or hate! ...And Of Course All The Other Insanity You've Come To Expect! Email us suggestions of topics, rants, raves, and whatever you want to recovery_101@hotmail.com, recovery101radio@gmail.com, or recovery101radio@hotmail.com. This episode we talk about the aftermath of December. Still got an emotional hangover from the holidays? HEY! WE'RE BACK! Like a bad penny, we always turn up! The Podomatic issue has been resolved! What do YOU think? See what WE think! The Boozy Newz and all the other crap you've come to love or hate! ...And Of Course All The Other Insanity You've Come To Expect! Email us suggestions of topics, rants, raves, and whatever you want to recovery_101@hotmail.com, recovery101radio@gmail.com, or recovery101radio@hotmail.com. This episode we talk about the 5th step. WE'RE BACK! Like a bad penny, we always turn up! The Podomatic issue has been resolved! What do YOU think? See what WE think! The Boozy Newz and all the other crap you've come to love or hate! ...And Of Course All The Other Insanity You've Come To Expect! Email us suggestions of topics, rants, raves, and whatever you want to recovery_101@hotmail.com, recovery101radio@gmail.com, or recovery101radio@hotmail.com. REGULAR LISTENERS: WE ARE HAVING EXTREME TROUBLE POSTING TO PODOMATIC. FOR THE LATEST SHOWS, PLEASE GO TO OUR PAGE AT PATREON. 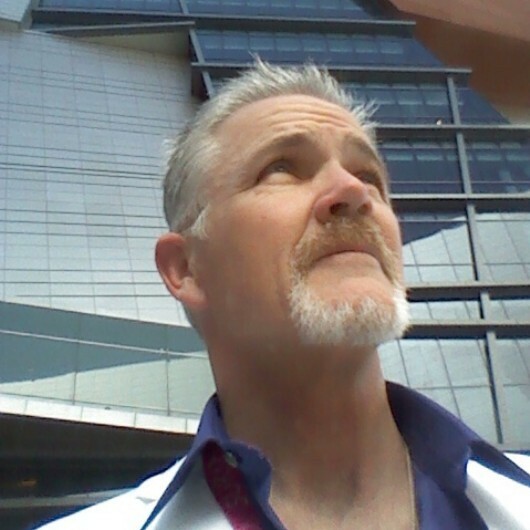 https://www.patreon.com/posts/23338779 WE WILL POST AGAIN AS SOON AS THIS ISSUE GETS RESOLVED. THANK YOU. WE LOVE OUR LISTENERS! This episode we talk about the folks who have that special something we are all attracted to. What do YOU think? See what WE think! The Boozy Newz and all the other crap you've come to love or hate! ...And Of Course All The Other Insanity You've Come To Expect! Email us suggestions of topics, rants, raves, and whatever you want to recovery_101@hotmail.com, recovery101radio@gmail.com, or recovery101radio@hotmail.com. This episode we talk about the folks we won't follow. What do YOU think? See what WE think! The Boozy Newz and all the other crap you've come to love or hate! ...And Of Course All The Other Insanity You've Come To Expect! Email us suggestions of topics, rants, raves, and whatever you want to recovery_101@hotmail.com, recovery101radio@gmail.com, or recovery101radio@hotmail.com. This episode we talk about the first step. It's that time of year again! Here we go...off with the steps again! What do YOU think? See what WE think! The Boozy Newz and all the other crap you've come to love or hate! ...And Of Course All The Other Insanity You've Come To Expect! Email us suggestions of topics, rants, raves, and whatever you want to recovery_101@hotmail.com, recovery101radio@gmail.com, or recovery101radio@hotmail.com. This episode we talk about your special purpose. What do YOU think? See what WE think! The Boozy Newz and all the other crap you've come to love or hate! ...And Of Course All The Other Insanity You've Come To Expect! Email us suggestions of topics, rants, raves, and whatever you want to recovery_101@hotmail.com, recovery101radio@gmail.com, or recovery101radio@hotmail.com. We are serving up not your regular boring, monotone, stick in the mud recovery programming...We serve only the finest USDA Prime recovery here on Recovery 101! Fresh, with a heaping side order of Rule 62! You can help support the show for as little as a buck!